This is a rectangular Allied Automotive Industries porcelain sign. This particular Allied Automotive Industries sign is predominantly black with a white circle and a red shape in the center. 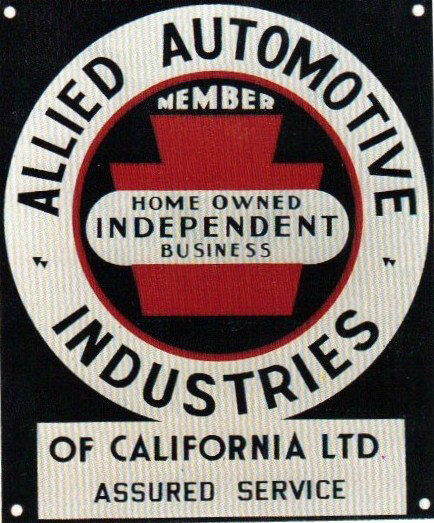 It reads, “Allied Automotive Industries of California Ltd., Assured Service, Member Home Owned Independent Business”.